Meet PowerShingle™. Solar that’s designed to fit you. Your style. Your home. Your roof. 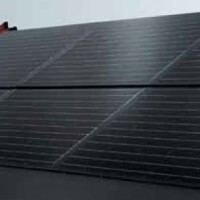 No bulky panels or heavy frames, just a solar roof that’s stylish enough for the front of your home, with the energy to power it. Kingspan Roof PowerPanel Module consists of specific Kingspan insulated roof panels with a frame mounted module. It is suitable for pitched roof applications on new build or refurbishment projects. . . .
Replaces or becomes a part of traditional roof coverings, while maintaining and improving their insulation and protective properties. 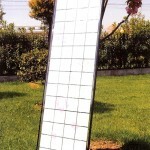 Photovoltaic tiles, size 1000×750 mm, power 40Wp and 45Wp. Suitable for shingle-type roofing, these tiles ensure complete waterproofing for slopes up to 18° and provide a treadable surface. They can be installed easily on a wooden . 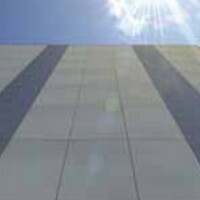 . .
Photonics Photovoltaic System offers solutions specifically designed for ventilated facades. A line of technologically innovative products and aesthetic, in which the use of fine ceramic materials combined with photovoltaic cells last generation, allows maximum design flexibility without compromise between design and functionality. 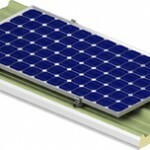 Photovoltaic sheets measuring 1000x1000mm, power 130 and . 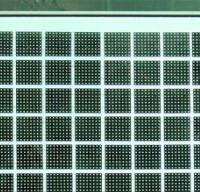 . .
TSS(Taiyo See-through Solar) is a high performance glass which can generate infinite and clean electric power through photovoltaics. 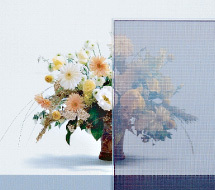 Moreover, the glass functions as a heat shield preventing excessive solar heat gain. TSS is a new building material that strikes a balance between environment friendliness and a high level of comfort to building occupants.